To check out the roster of PBA and PBA50 players available, click here. The website also offers a variety of other products. PBA fans can watch many of PBA’s top stars from around the world as they compete in singles, doubles, trios, five-man team and Masters competitions in the 2018 CGSE • Million Tinkle World Men Championships Sunday through Wednesday, Dec. 1-5, at SCAA Bowling Center in Hong Kong. Semifinal and finals rounds will be live-streamed by Xtra Frame on FloBowling, and archived for same-day access at more favorable time slots for American viewers. 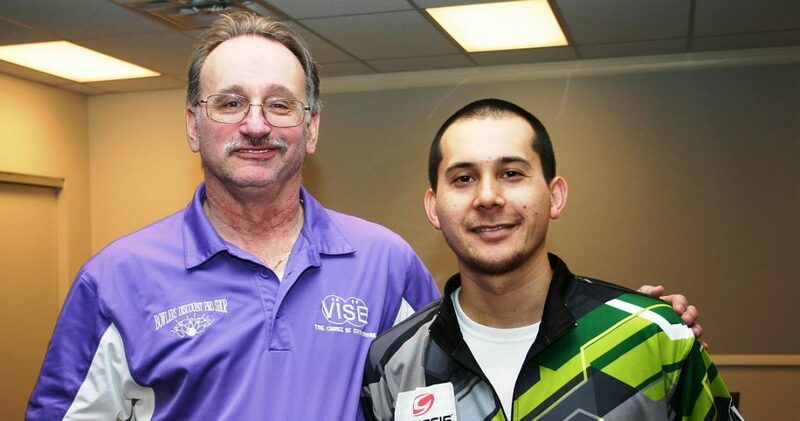 Two-handed player Tim Foy Jr. (pictured above with sponsor Richard Byrd, left) of Seaford, Del., earned his second career PBA Regional title when he defeated Gary Haines of West Babylon, N.Y., 189-178, in the title match of the PBA Bowlers Discount Eastern Open presented by Track at Terrace Lanes in Frederick, Md., Sunday. 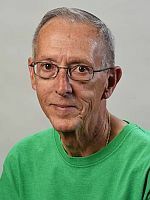 Lee Brosius (right) of Ashburn, Va., defeated Darryl Bower of Middletown, Pa., 633-589, in the three-game total pinfall title match to win his sixth PBA Regional title in the PBA50 PlyGems Windows Rocky Mount South Open at Rocky Mount (Va.) Bowling Center Sunday. Headlining the Thanksgiving weekend will be the Beaumont Southwest Open at Crossroads Bowling Center in Beaumont, Texas. The November PBA Regional calendar comes to a close over the Nov. 30-Dec. 2 weekend with the Knob Hill/MJK Pro Shop Challenge (a non-champions event) presented by Brunswick at Knob Hill Country Lanes in Manalapan, N.J.; the PBA50 Victory Lanes Midwest Open presented by Allstate in Kankakee, Ill.; and the re-scheduled Break Point Alley Member/Non-Member Doubles in Tavares, Fla.
PBA CEO and Commissioner Tom Clark was a special guest on the Brandstorm podcast, discussing the modernization of the PBA. To list to the podcast, click here.